What future Boston Marathon runner up set the Jack 15 course record? What year was a woman the overall champion? What was significant about the Jack 15 field in 1979? How many times has Bob Bartling run the Jack 15? What years did I run the Jack 15? 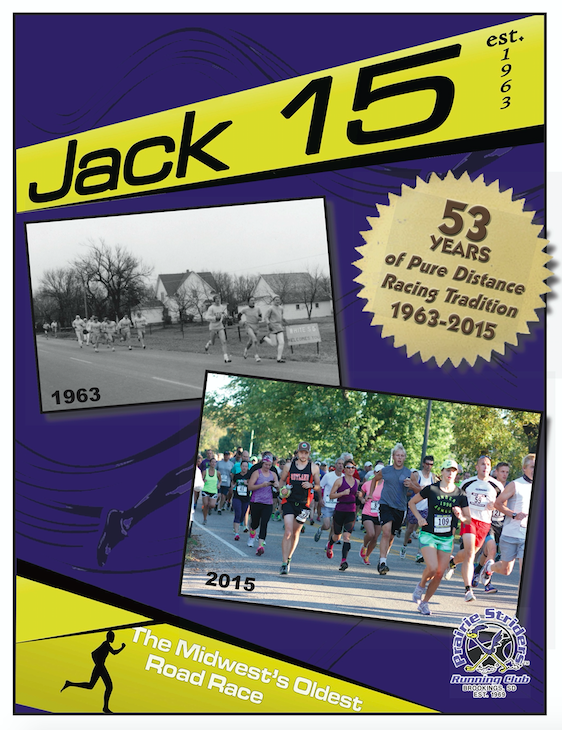 The answers to these and other questions are in the updated version of Jack 15 history book, which tracks every runner from 1963 to 2015. It has gone to press and will be available at registration Sept. 23 and at the finish line Sept. 24. The current version, which includes historic and current photos, won't be updated again until 2021. If you've completed the oldest road race in the Midwest in the past, you're name is there at least a couple times. Cost is $30 with no handling fees charged on Jack 15 weekend.